I´ ve watched a brief review of this tool in youtube by GTR and I discovered that it could help me with a secondary use: when disassembling servomotors I often need a kind of little pry bar for separating aluminium end bells from the stator without damaging the components. Usually I use slotted head screwdrivers for this task that eventually get damaged. I found the quality and design of this tool just perfect for this job: the angle of the claw, the size of the tool and the handle are just right, it seems that it was designed for this. Thanks KC tools! This tack claw is very well made, has a comfortable grip, and is an excellent value for the price. I bought this tack claw on a whim. It wasn’t expensive and I lost my previous one. This thing works great. Handle feels great and it doesn’t take up much room in box/bag. It arrived on time and everything was packed with care. 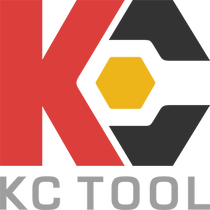 KC Tools is the only place to buy tools online. Awesome company. Needed one for a while. Using a knife to pry up staples and small tacks risks damaging the edge. Having a tool for that type of work saves my knife and my fingers.